The Durham Boat Company began importing the original Rec-Racer in 1984 and it proved to be a very speedy and popular boat. Initially, we imported the entire boat. Gradually we moved to purchase and install all the hardware, to the point now where we manufacture all the major sub-assemblies that go into making the boat. We manufacture the foot stretchers, seats, and riggers on the top-of-the-line boats as well as install all other hardware and custom rig the boat. In 1994, we changed the design to slightly increase its maximum capacity, while further improving on its speed and rowing efficiency. The changes have been very well received. In 1995 and 1996, the boat was used in the Blackburn Challenge. (an approximately 20-mile race around Cape Ann, near Gloucester, MA in open water conditions). In both years, a course record was set, beating all manufacturers of open water racing shells. With the addition of our own all carbon sub-assemblies, we have provided equal or better rigging than one would find on top line racing singles. 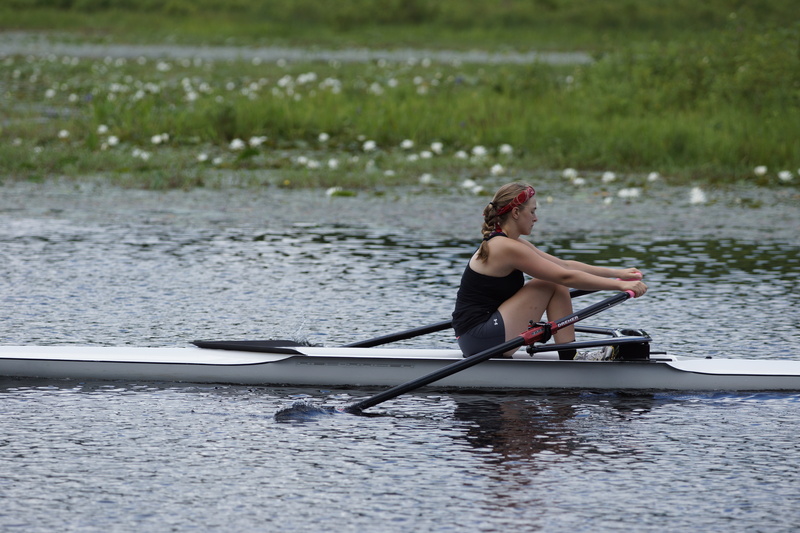 Through extensive use of the boats in our own sculling school and club, we have received valuable feedback as to how best to improve upon equipment design and optimize boat set-up and rigging. We are confident that we have designed the boat so that the rower feels comfortable in the boat, yet still has enough feedback from the boat to not develop bad habits from rowing a boat that is too forgiving. In 2007, we moved the molds from Europe to Canada and went to a vacuum infused construction with carbon/core/carbon construction. By 2008 we added a larger size Rec-Racer II to broaden the line. 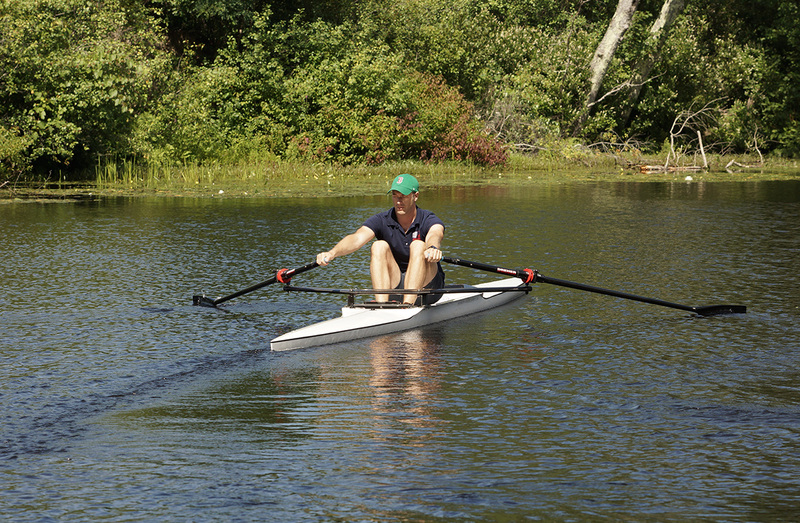 The Rec-Racer II is a large displacement hull, which would best fit heavier rowers (i.e., greater than 185 lbs. and up to at 240 lbs. in flat conditions). 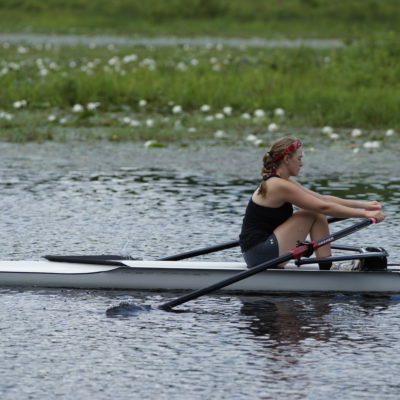 The length and width are the same, but the hull is made deeper to accommodate the heavier weight rower. 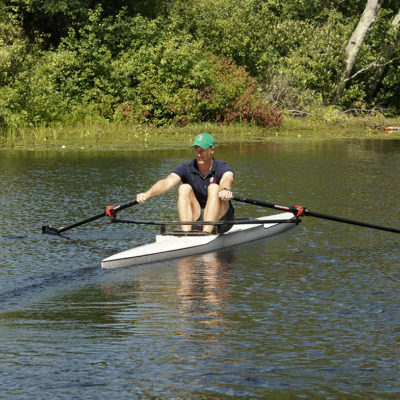 The standard size hull, which best accommodates rowers up to 185 lbs. capacity, is now called simply the Rec-Racer. In 2011 we moved the boat molds to an experienced boat builder in Maine. They have the capacity and expertise to meet our specifications and market demand. 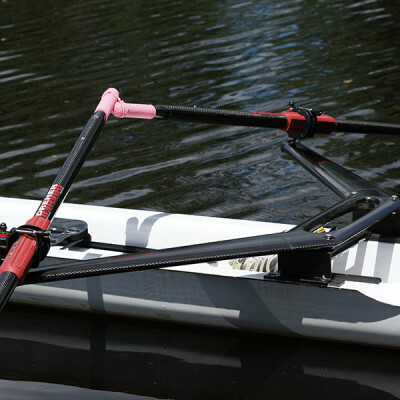 Both the Rec-Racer and Rec-Racer II are made with an all-carbon construction which creates a boat that is more rigid in construction, yet the lightest in weight and with the best fit and finish on the market today of any entry-level or open water racing shell. The boat is fun to row and is very responsive. The power transmission is quite good, which results in a very quick shell. It feels a lot like a top end racing shell, but with the stability of a crew-boat. It is easy to turn, especially on a river with many tight turns. One of the best features is that it is easily carried by one person, because of its low weight. In 2012, we started offering a new foot stretcher option for people who can launch from docks. It is our Snap in Shoe Plate, which allows you to row using your own shoes for rowing as well as running and other activities. For more information on the available shoes and snap in shoe plate, please see the following: 2012 Shoe Plate Link. There you will see links to the shoes that are compatible with the shoe plate. You would order your size and style and then have them shipped to us to be modified to fit with your new shoe plate and then installed in your new boat. In 2015, we began offering the hollow wing rigger to replace the heavier foam core wing rigger. This is the most significant design change since re-making our molds a few years ago and shifting manufacturing back to the USA. Construction of Hull Multi-layer carbon sandwich construction with a composite felt core, vacuum resin infusion. Coating Premium, white UV inhibited gel coat, made for Marine use.